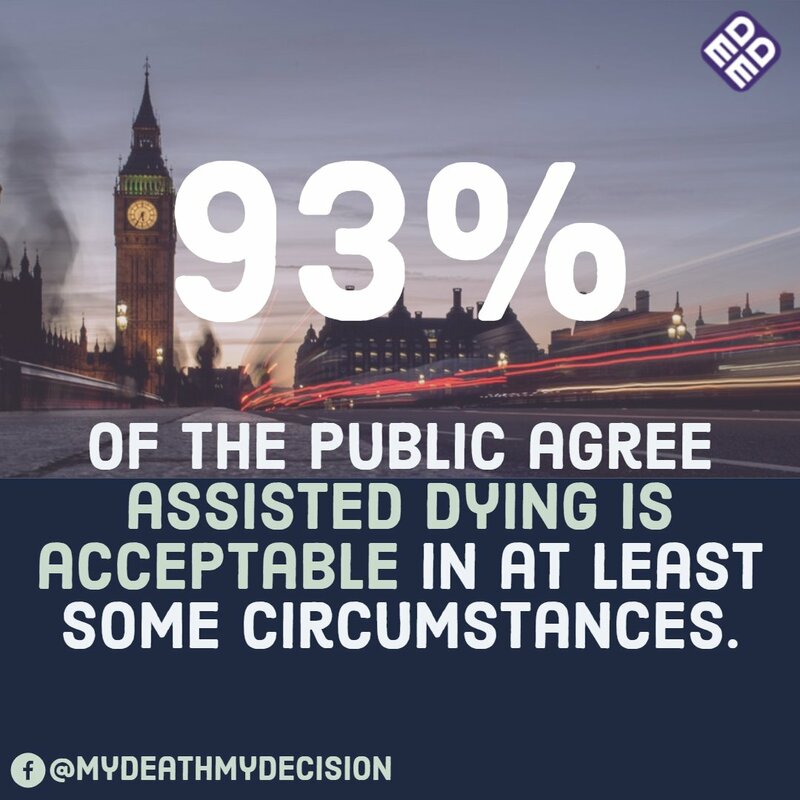 On Tuesday 11th December, the All-Party Parliamentary Group (APPG) on End of Life Choices, met to hear from Dr Sandy Buchman and Professor Sir John Temple, on the role of doctors within a public discourse on assisted dying. At the start of his talk, Dr Buchman explained that “medical-aid-in-dying” (MAID) began in Canada, in response to two developments. First, the Canadian Supreme Court unanimously struck down a federal prohibition of assisted dying in 2015. Second, the Canadian Parliament passed an assisted dying law in 2016, which permitted MAID for anyone who was: (i) 18 years or older, (ii) suffering from a grievous and irremediable condition, (iii) enduring psychological or physical suffering which was intolerable, (iv) was capable of giving informed consent and (v) had a reasonably foreseeable natural death. Turning to the role that doctors had played during these developments, Dr Buchman explained that throughout Canada’s public discourse, the Canadian Medical Association (CMA) had chosen to play an active role in steering discussions. He argued that whilst it had been the CMA’s longstanding position, to support the right of every physician to follow their conscience, he believed that to uphold this commitment it was necessary to support both the right of “contentious participation” and “conscientious objection”. Thus, in 2015 when the CMA intervened in the Carter Case, they did so only to provide expert information from a medical perspective and without taking any particular position. Equally, during the 2016 legislative process, the CMA only intervened to provide objective information, and allow Parliament to engage in an informed and full debate. Dr Blackmer went on to explain that the CMA has purposefully chosen not to approach assisted dying from a yes/no perspective, but instead to broach a wider debate about the role doctors should play in end of life care. Consequently, he explained that it had been essential to the CMA, to consult widely with the public, physicians and medical stakeholders, and understand their concerns before adopting a neutral position. Indeed, in a powerful moment, Dr Blackmer warned other medics that “if [they] chose not to become involved [in the debate], all that [would] happen is that a conversation [would continue], without them, and they would lose an opportunity to shape the debate”. Both doctors closed their talk, by stressing that they believed it was the responsibility of doctors, to engage within a public debate and provide unbiased information so as to enable a national conversation to move forward. Professor Temple then followed Dr Buchman and Dr Blackmer, by focusing upon an emerging divide between the views of medical professionals, and the organisations representing them. At the core of the debate, Professor Temple suggested that a fault-line had emerged within modern medical practice between the profession’s ability to extend life, and its inability to alleviate suffering. My Death, My Decision noted with particular interest Professor Temple’s discussion of the BMA’s official opposition to assisted dying. Having highlighted that 80% of the public now support changing the law to permit assisted dying, and that the experience of Canada demonstrates that assisted dying laws are not abuse, nor likely to affect a large percentage of the population, Professor Temple suggested that the BMA’s continuing opposition was “troubling”. In particular, he stressed that whilst the BMA has a membership 150,000, only 197 doctors were responsible for its official policy of opposition. Setting aside his democratic concerns, Professor Temple condemned the BMA for failing to reflect the views of doctors, as evident from a recent poll in the British Medical Journal (the BMA’s independent paper), which found 55% of doctors supported a change in the law. 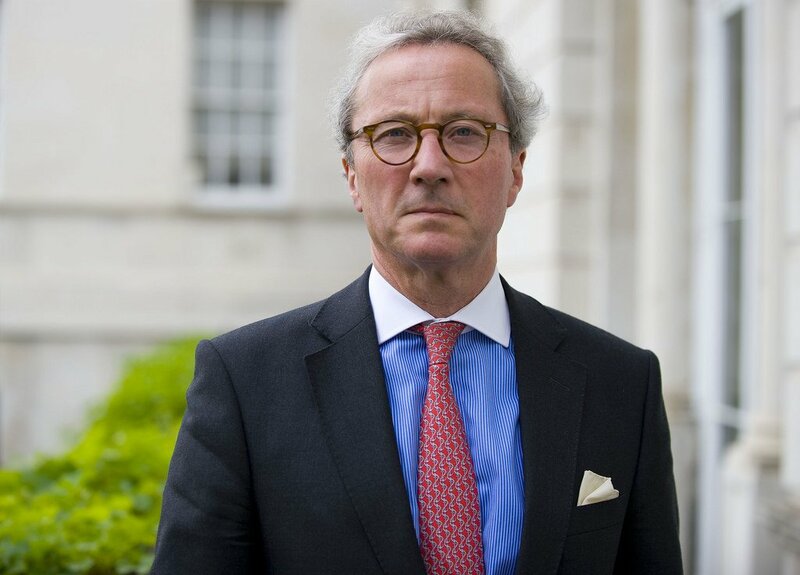 Turning to the opinions of the wider medical community, Professor Temple suggested that those such as the Royal Nursing Colleges, who have followed a policy of neutrality since 2009, were ahead of doctor’s associations and it was now time for a “fresh meaningful and informed debate” to begin. (i) Medical Associations to properly ascertain the beliefs of their members. (ii) Medical Associations to examine the examples of assisted dying abroad, most obviously the situation in Canada. 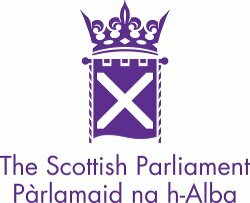 (iii) Medical Associations to listen and engage with the stories of those affected by the UK’s prohibition of assisted dying and their families. Following the two talks, the floor was then opened to a question & answer session. Notable contributions included a question from Paul Blomfield MP, who asked about the degree of safeguards in Canada and Lord Lipsey of Tooting Bec, who raised concerns about the popular understanding of opinion polling on the right to die. 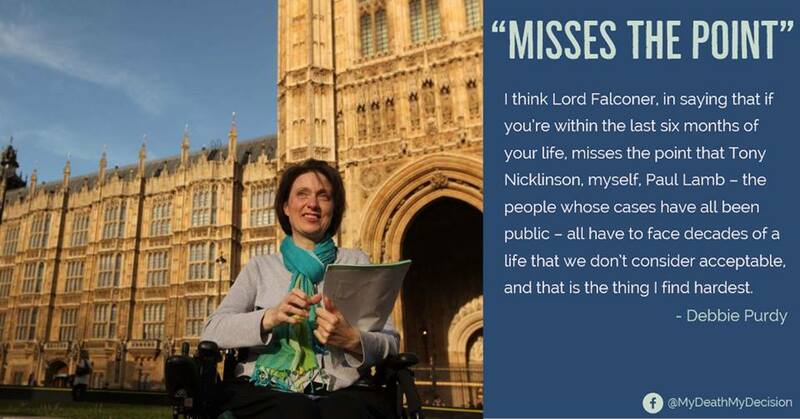 Two questions of particular interest to MDMD, came from Catherine West MP, who asked about potential assurances to those living with a long-term disability, and Lord Warner of Brockley, who asked how the CMA had overcome a rigid opposition from the medical community. In responding to the first question, Dr Buchman commented that he would not presume to tell the UK how to address the challenge of protecting vulnerable groups, such as the disabled. However, he suggested that were the UK to follow Canada’s example, legislators would be wise to continue considering the issues of assisted dying, as Canada has done, even after the passage of legislation. Dr Blackmer, a specialist in disability and palliative care, made the astute observation that whilst he can sympathise with the dismay of many disabled groups, evidence from Canada indicates that those who are most vulnerable tend to be excluded from accessing end of life care, rather than pressured into it. Consequently, he suggested that those who are most vulnerable in society, are often most frightened by the prospect of having no choice at all. Regarding the opposition of the medical community, Dr Buchman said that he believed it was the open approach of the CMA which allowed him, and ultimately those who opposed assisted dying as well, to feel confident in their positions and to create a culture of mutual respect. As a palliative care specialist, Dr Buchman acknowledged that his personal journey towards accepting assisted dying had spanned over two years. 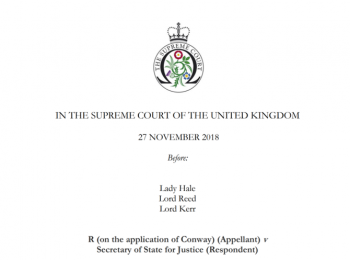 He stressed, that it was his belief high quality palliative care was key to good end of life planning, but that assisted dying did not threaten the provision of such care, but somewhat perversely strengthened the case for ensuring that palliative care was accessible and available. Closing on a personal example, Dr Buchman explained that whilst he was initially hesitant about the prospect of assisted dying, he ultimately decided that helping patients who wanted to decide when and how they died, was an extension of what he had been doing already: helping to relieve suffering. Dr Buchman explained that when he first participated in an assisted death, for a professor of medicine suffering from Lewy body dementia, he had been struck by the sense of “illumination”, as though “a weight had been lifted”, when he agreed to discuss the prospect of an assisted death, let alone participate. He explained that whereas before his patient had explained he felt hopeless, especially after exhausting the options of traditional palliative care, the option of an assisted death enabled the patient’s mood to lift, and allowed him the dignity to die from a peaceful death surrounded by those he loved.